You are planning for the big day. You have a few basic ideas of how you would like things to play out, but planning a wedding is starting to become a headache you never thought it would become. Planning your wedding does not have to be a huge nightmare. In fact, here are three low-stress, wedding-planning tips that will help you get everything to fall right into place. Before jumping feet first into planning out your wedding day, you want to be sure you provide yourself with ample time to do so. The big headaches come when you try to plan for a huge wedding in just a couple of months. Working with such a short timeline will inevitably lead to many things going wrong. Remember, you have to coordinate getting many people into one or more places all on the same day. So, sending out invitations, booking a venue and making sure everything will happen with precision timing requires more than a couple months time to plan it all out; six months to a year is more likely the time frame you should be spending with your wedding planning efforts. The tendency is to turn a wedding day into a grand, budget-blowing event. Every detail must be extravagant and perfect is the general way people think when planning a wedding. However, what you may not realize is that less is often more when it comes to planning your wedding. For starters, the more simple the wedding, the less stress will go into planning it. The stress will be reduced in other areas also, because a simpler wedding will likely cost less as well. This means you will not have to worry about your wedding putting you in debt for years to come. With less details to account for, you will find that your wedding will be many times easier to organize and execute as planned. A couple ways to accomplish this is to significantly reduce the size of the guest list and to not go all out on the food. From the best man to the mother of the bride, make sure that everyone knows the role they are supposed to play in your wedding. When everyone is thoroughly briefed on the jobs they must carry out, this helps to ensure that things will occur precisely as you intend for them to occur. The person responsible for organizing the wedding meal will have to make sure there is adequate seating, tables and other accommodations. They may need to work with professionals, like those at Party People Rentals & Sales, reserving what they need beforehand to make sure every aspect of their task is nailed down well in advance. It is important to remember to make sure that the people you delegate to help you orchestrate your wedding are competent and able to do precisely what you ask them to with no surprises. 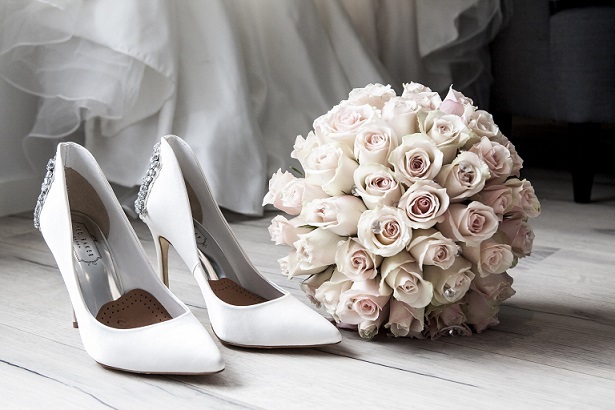 When responsible people are delegated important tasks, you can be sure that you do not have to worry, and your mind can be focused on other important factors of your wedding day as a result. The big day is about to arrive. While your excitement is building, you will always harbor a modicum of concern about this most important moment of your life. With the right planning, this day can be one you will remember as the height of perfection. Even if something does not pan out quite as you expect it to, be encouraged that your wedding is more about the person you love the most and not about the other superfluous details that surround the wedding itself.